November and December passed by in a blur of family portrait sessions and senior portrait sessions that kept me busy most days, especially during the golden hour. While I absolutely love photographing family portraits and high school senior sessions, especially during the gorgeous light of late Fall and early winter, I always need a break after the holidays to rest and recharge. This year, Bob and I decided to take the very long drive to Austin, Texas and live in the city for a month. We brought our bikes and I included my camera gear (even though I swear I actually did take a break) and we immersed ourselves in Austin City life. 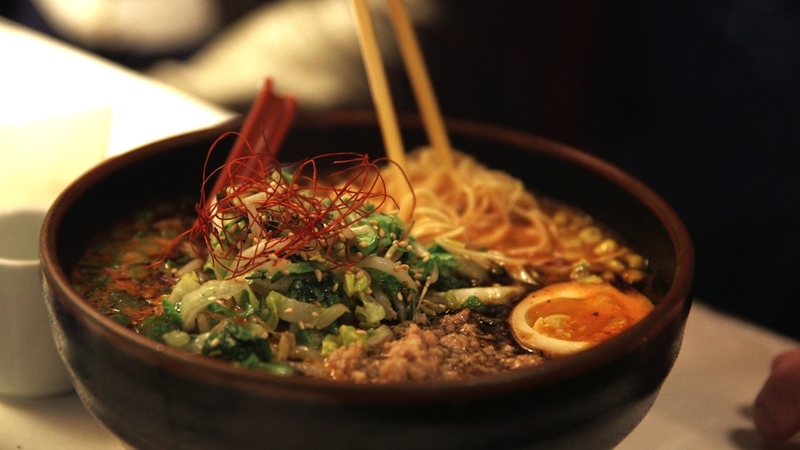 Ramen Tatsuya: We rented an amazing Condo in downtown Austin for our stay and the host is originally from Japan. Some of you may know that I lived in Japan for a year and I adore Japanese food. So when she recommended that Ramen Tatsuya and said it rivaled the best Ramen in Japan I was excited. This restaurant did not disappoint! But, be prepared to wait in a line. Don’t worry, it goes quickly and it is worth it! 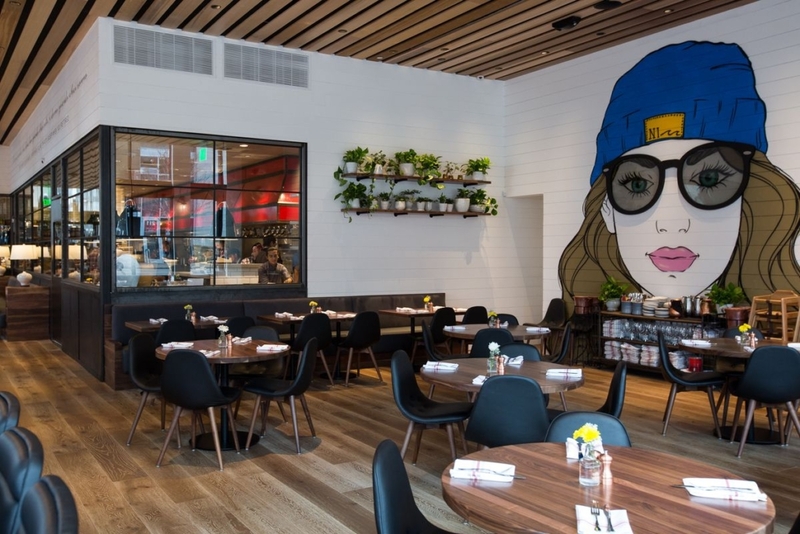 24 Diner– Chef inspired comfort food with a focus on locally grown. This restaurant offers American cuisine, good service and a fun atmosphere. My favorite is their veggie hash and the Roasted Banana and Brown Sugar milkshake. Perla’s- We stopped off at Perla’s after the Continental Club for appetizers and cocktails. 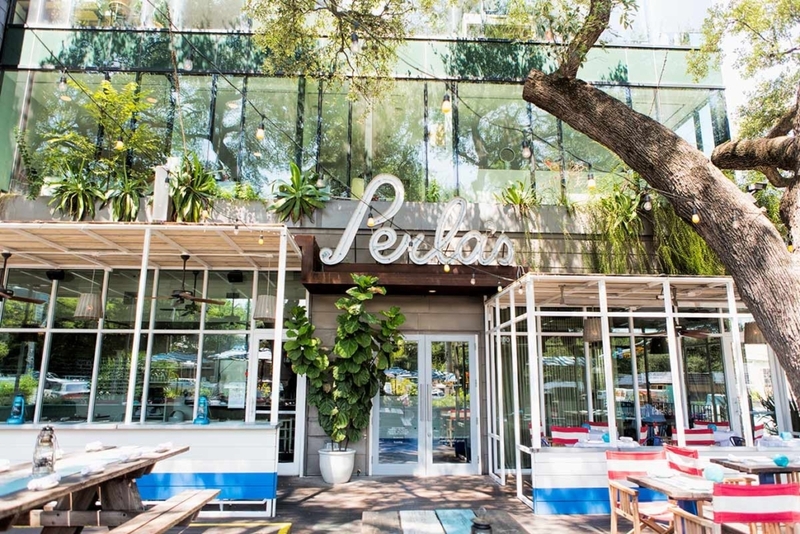 Perla’s specializes in seafood that is super fresh and the food is amazing. It is a great spot to sit outside, but it was way too cold for us, so we grab at spot at the bar, where you can order anything on the menu (the place was packed on a Monday, so if you don’t have reservations, the bar is a great alternative). Lamberts- You know it is going to be good when you can smell the mouth watering bbq a block away. This is one of the first restaurants we fell in love with in downtown Austin. Try their spicy deviled eggs and Niman Ranch Pork chop! The Blue Dalia Bistro- We discovered this indoor/ outdoor bistro in the trendy East Austin neighborhood several years ago after a very long, very hot walk through the city. The back porch is a cool, shady escape during the warm months in Austin. 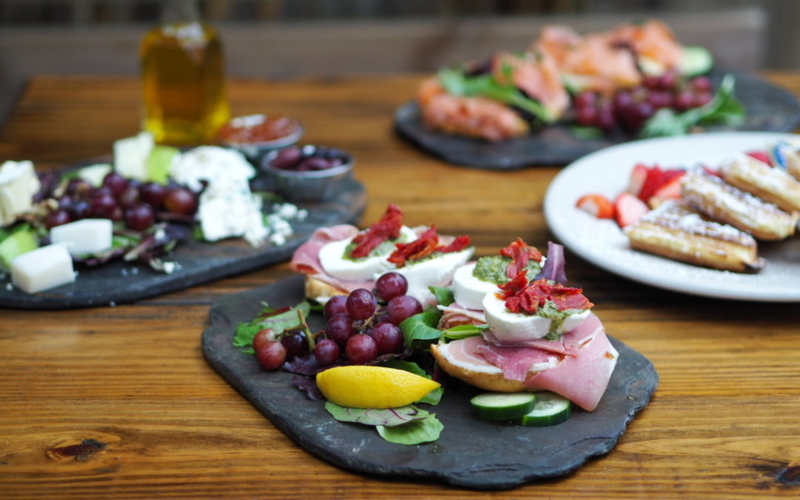 Blue Dalia’s home baked bread with lots of artisan cheeses and local sourced, organic ingredients mean their salads and open faced sandwiches are all mouth watering good. Bob’s favorite is the Tuna Salad and I love the hummus with avocado. Elizabeth Street: Elizabeth Street Café is a neighborhood Vietnamese cafe and French bakery in South Austin. The little restaurant boasts sunny dining rooms and a shady garden patio and serves fresh breakfast, lunch and dinner as well as takeout. 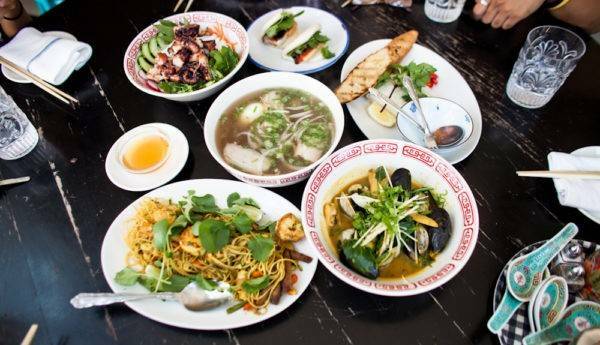 On the cold winters days in Austin there is nothing better than a warm bowl of Pho! Peche– Peche is Austin’s first absinthe bar and they specialize in “pre-prohibition” style cocktails. This is a great place to have a few drinks, take in the atmosphere and indulge in some of their sinfully good appetizers. 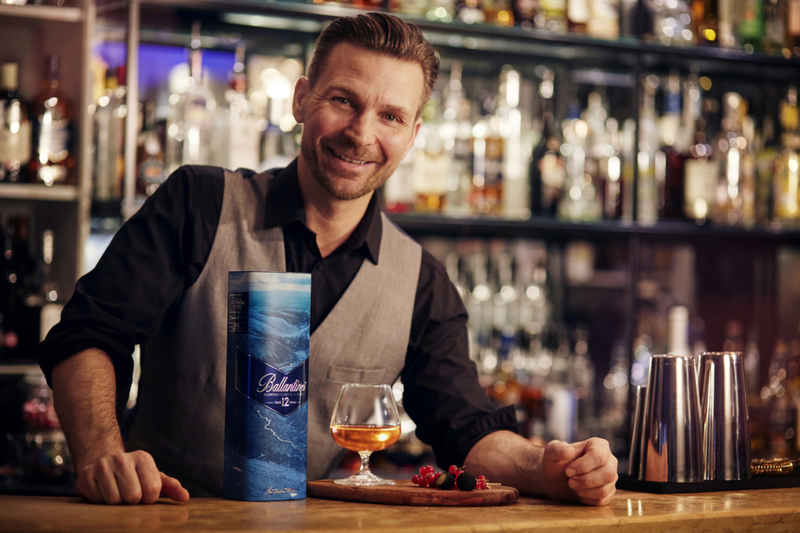 The bar staff is super friendly and love to share the history of the cocktail menu. Le Politique: A recent addition to downtown Austin this premium French restaurant is not only beautiful, but the food in amazing. Try the roasted chicken or trout almondine. I don’t even like trout and I thought it was delicious! Home Slice Pizza: When you want something hot, fast and delicious, Home Slice Pizza is a must stop. 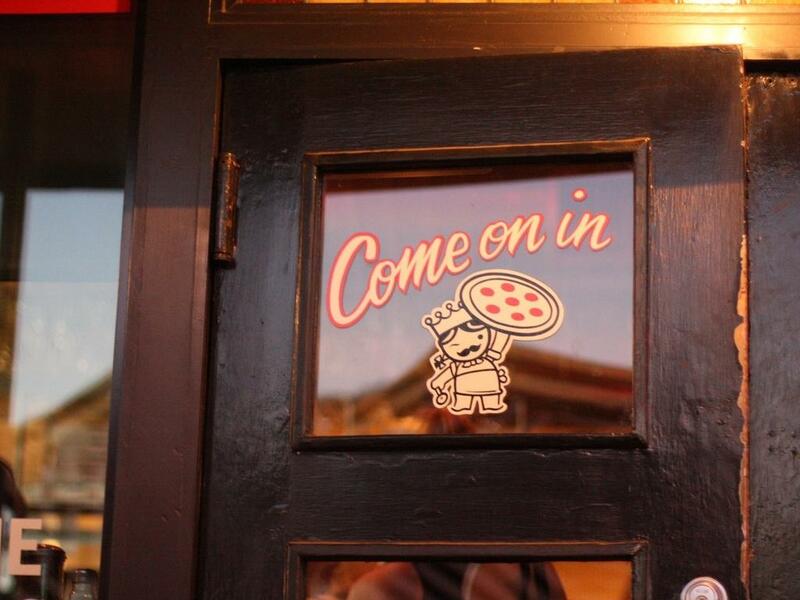 This South Congress gem is always crowded, but the line moves fast and the pizza is worth the wait. Traditional New York Style pizza by the pie or by the slice. 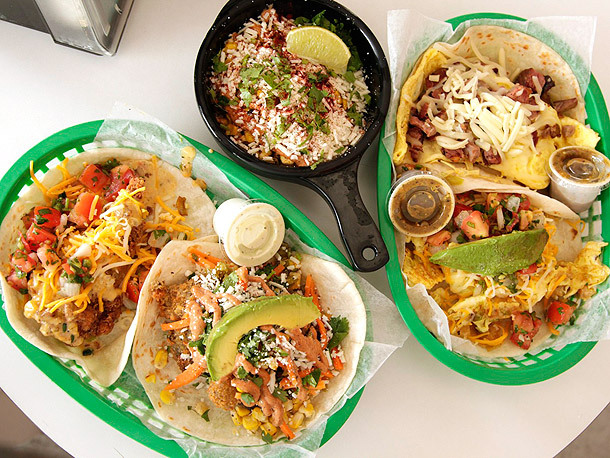 Torchy’s Tacos Downtown: Austin is know for their tacos, and Torchy’s is a landmark. 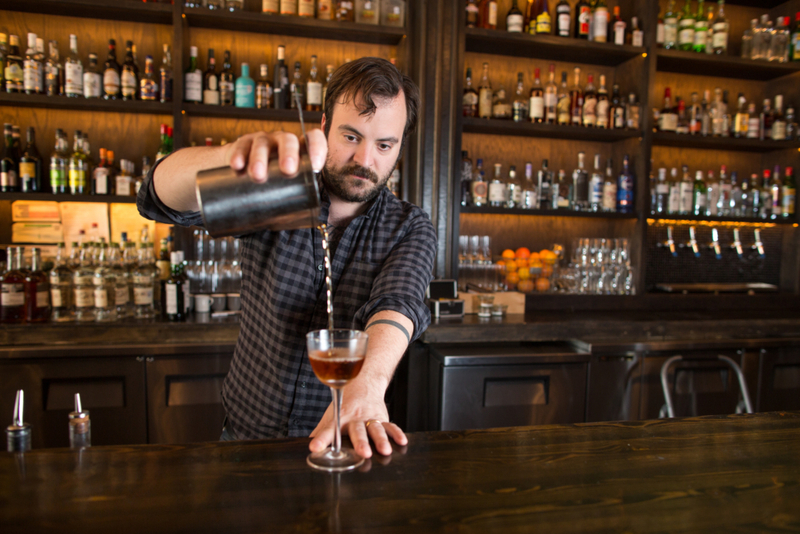 The new downtown location is a little more upscale than the others and it even has a complete bar. This is a great spot for a quick bite at a great price. Flower Child: If you have been to their San Diego location, you are familiar with Flower Childs. 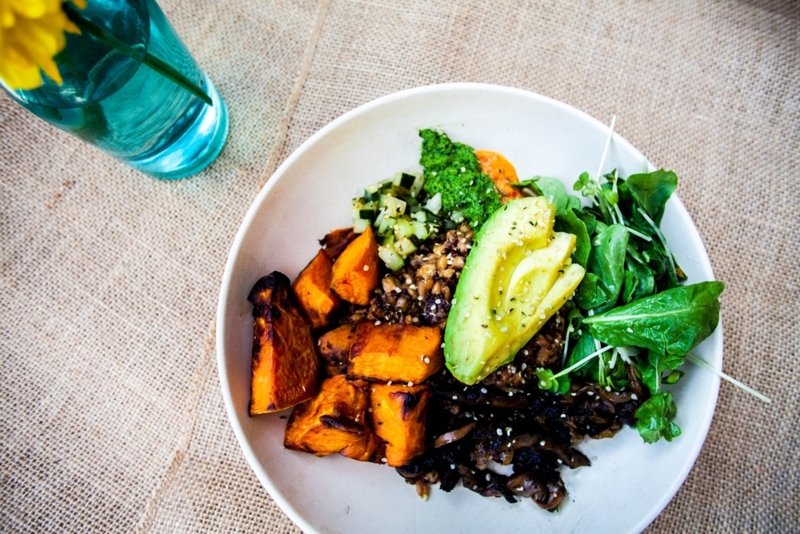 Flower Childs offers a clean, delicious menu complete with lots of vegan, or vegetarian options. I opted for the Vegetarian Poke bowl with a side of Brussel sprouts. 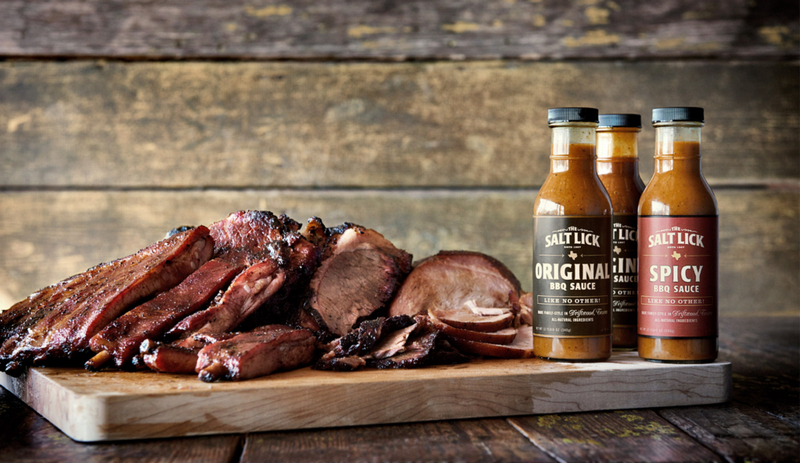 Salt Lick BBQ– Always have to make a stop on every trip. While this is about 30 minutes out of town, it wouldn’t be a trip to Austin without a stop. Try going on a Friday or Saturday night to enjoy live music and a fun crowd. Be sure to bring cash because that is all they accept. Loro: By chance we found out about Loro Restaurant and learned that the Pit Master at Franklin’s bbq (we still haven’t dedicated a whole morning to waiting in line for Franklin’s), opened a new restaurant with Tyson Cole of Uchi described as an Asian smokehouse. The food was amazing. Try the Oak grilled Snap peas and the oak smoked salmon. So good! North Italian Food: Another new addition to downtown Austin, this restaurant has an amazing indoor/ outdoor bar and a great vibe. We chose to eat at the bar and people watch along 2nd street. 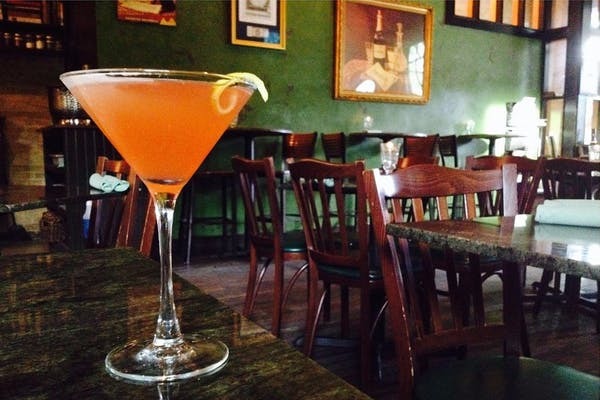 The staff is incredibly friendly and it has a great menu and really wonderful happy hour. 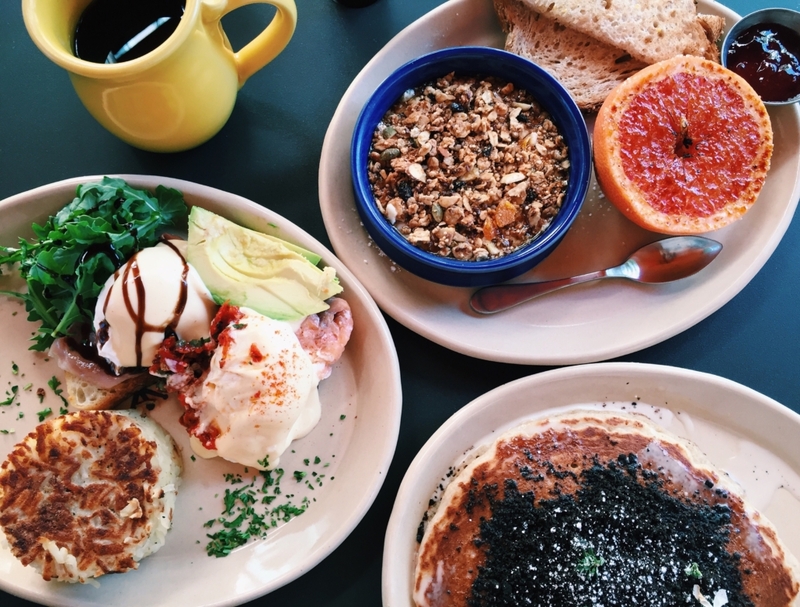 Snooze AM Eater– Great spot for breakfast. I love the food and the entire vibe of the restaurant. Get there early, because it is a really popular destination, especially on the weekend. 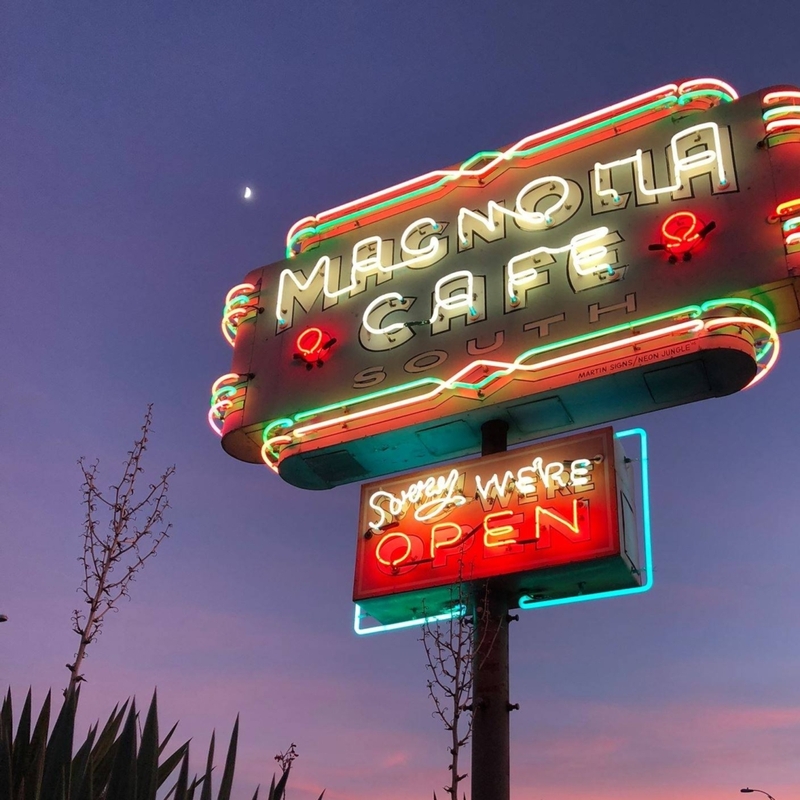 Magnolia Cafe: An Austin Classic. 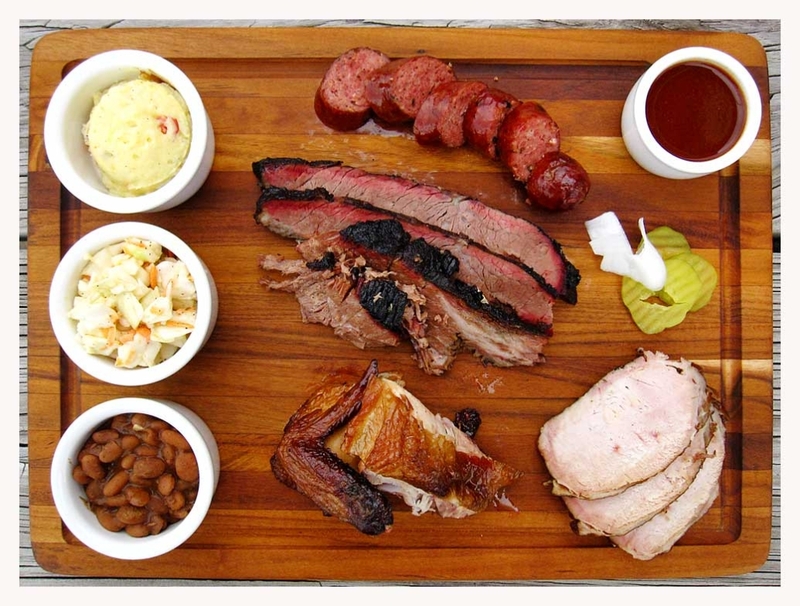 We love the South Congress location. Our very first trek to Magnolia Cafe was over 10 years ago. Our funniest (or worst parent moment) memory is having our kids walk there on a very hot day over 3 miles. Good thing the food was worth the trip. Another popular spot so be prepared to wait. 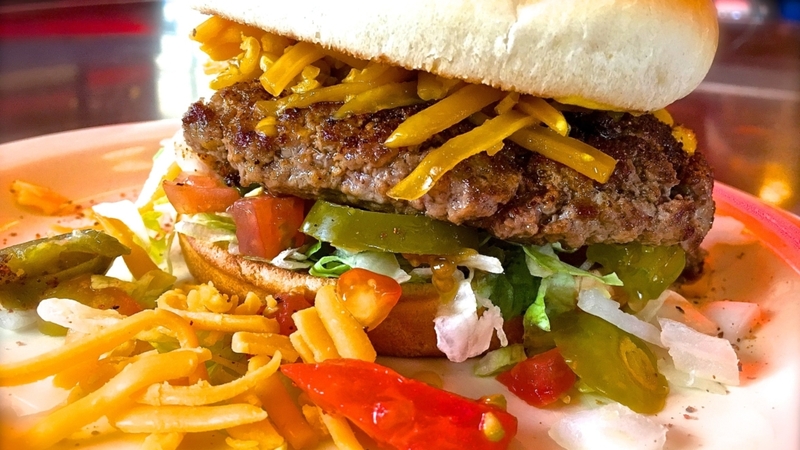 Huts Hamburgers: It’s “still delicious after all these years” say fans of this circa-1939 Downtown “Austin treasure”, popular for its “old-fashioned hamburgers”, “out-of-this-world onion rings” and “real malt”milkshakes served in a “relaxed” setting done up in neon signs, team pennants and vintage photos; “two-for-one” Wednesdays are a fan “favorite”, but less so the parking, which can be a “problem.” Make sure to read the articles on the walls while you wait. This spot has a fun and colorful history. 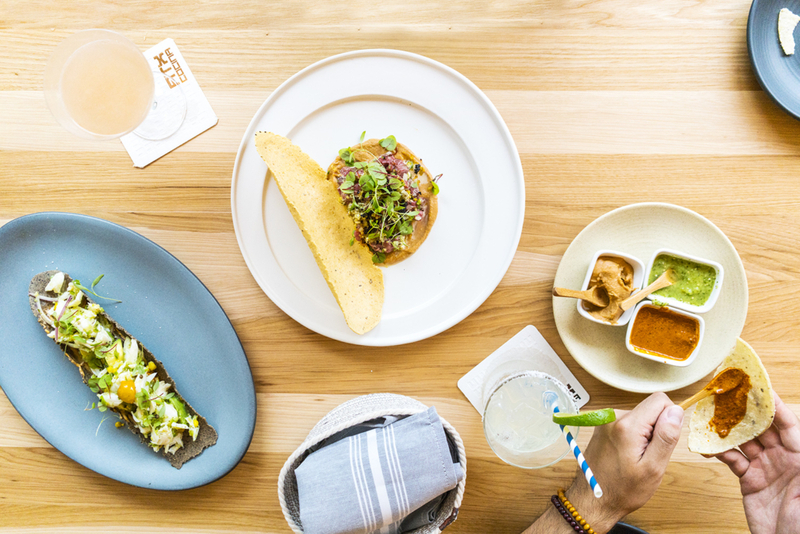 ATX Cucina: Modern Mexican Food that is served family style. We ordered the homemade tortillas with salsa sampler, bbq shrimp and mexican style corn. Not only was it extremely tasty, it was reasonably priced for the quality of food. They also have an excellent tequila menu and mezcal. And for my foodie friends, this restaurant is 100% gluten free. 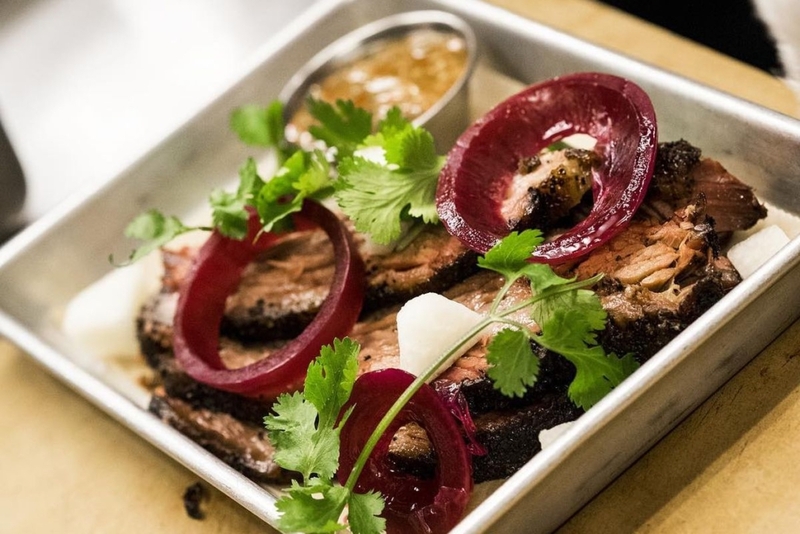 Odd Duck: A farm to table restaurant with an ever changing menu. Their approach to cooking is creative and absolutely delicious. This is a family style restaurant meant for sharing with friends. They also have a huge cocktail menu. Bob has the redfish tacos which were the best fish tacos I ever tasted (and I eat a lot of fish tacos). 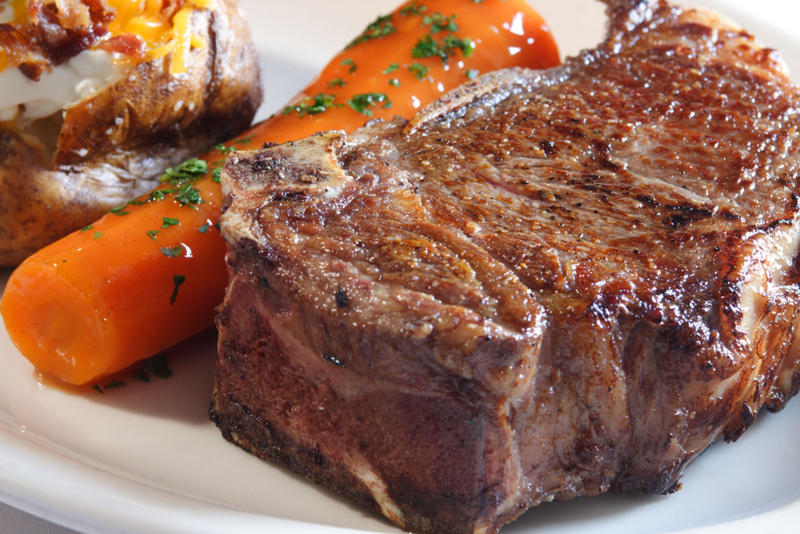 Bob’s Steak and Chop House: When in Texas you have to indulge at least once in a really great steak. Bob’s delivers and I love the home made pickles that start the meal. 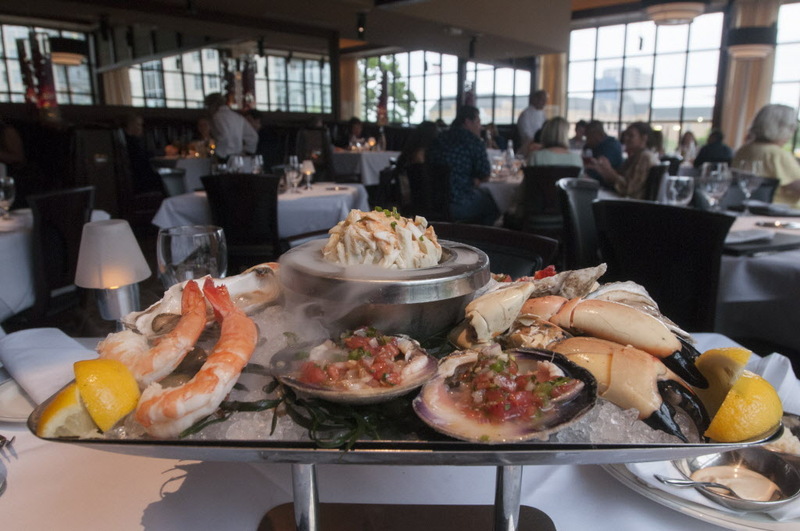 Trulucks Steak and Seafood House: Excellent seafood with exceptional service in the heart of Austin. 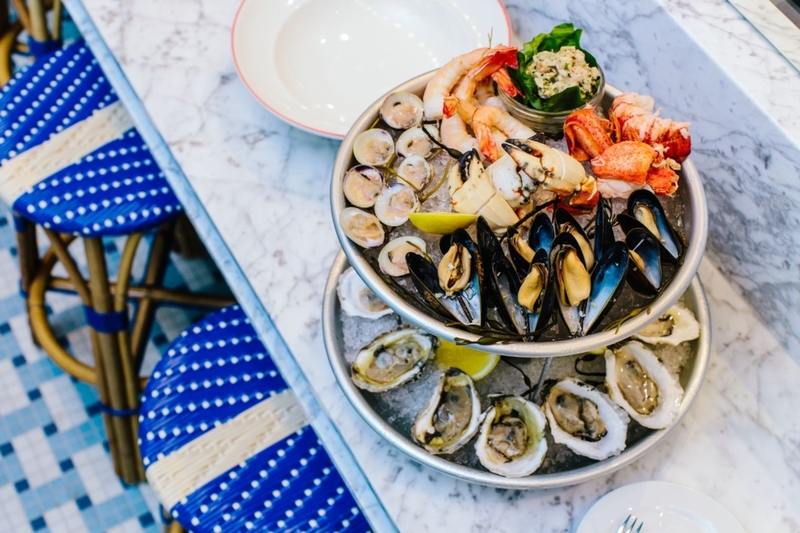 We loved the large cold seafood appetizer that we shared with the whole table. 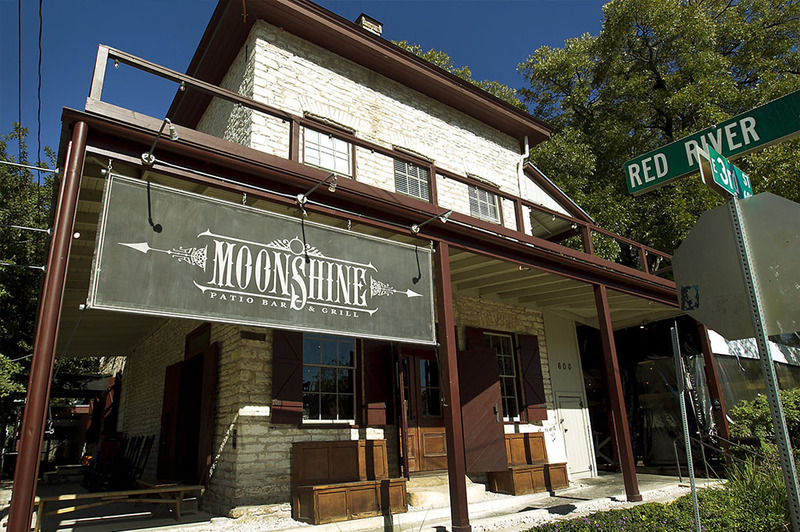 Moonshine Patio Bar and Grill: Comfort Food and cocktails right near the Rainy District. This is Southern Inspired farm to table at its finest. Try the Blackened Catfish or the Shrimp and Grits, both are so good. 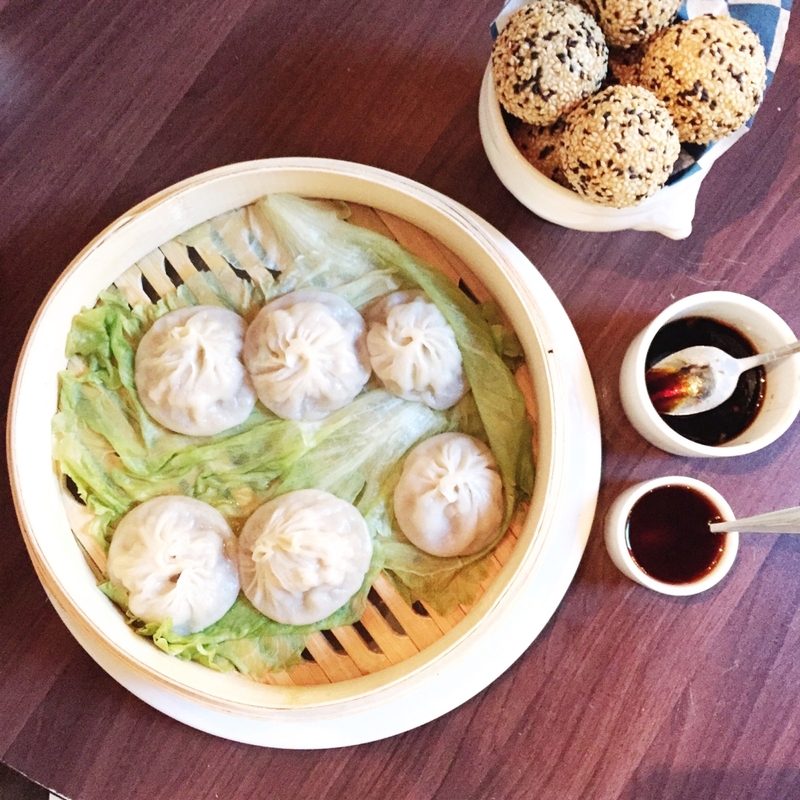 Wu Chow: My very first experience with soup dumplings was at Wu Chows and now I am hooked. Wu Chow brings authentic, farm-fresh, modern Chinese food to the heart of downtown Austin, offering dishes representative of all eight styles of Chinese cuisine, as well as dim sum service on Sundays. 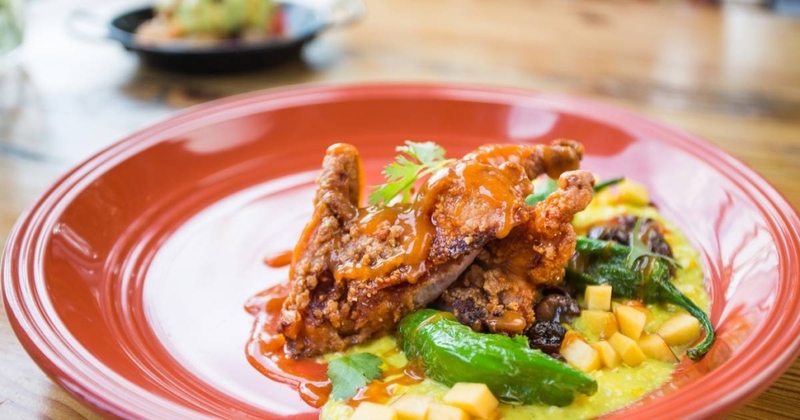 Through their local farm and ranch partnerships, Wu Chow is able to provide guests with fresh, regionally-influenced dishes. Some favorites include Shanghai Soup Dumplings, Salt & Pepper Squid, Yu Xiang Eggplant and Mapo Tofu all have a place on the menu, in addition to seasonal specials such as Beijing Roast Duck. Hillside Farmacy: Hillside Farmacy resides in a building owned by one of the oldest standing African American East Austin residents. The Drugstore closed in the 70s and the deteriorating building was lovely restored by the Hillside Pharmacy team to its original glory. The farm to table menu is great and I highly recommend the french fries, chicken sandwich, peel and eat shrimp and Kale caesar salad. The Roosevelt Room: Historical craft cocktails in a cool downtown environment (and we sat next to a super cute couple that just got engaged, so I had to offer to photograph them… more on that later). Also note that they take reservations. 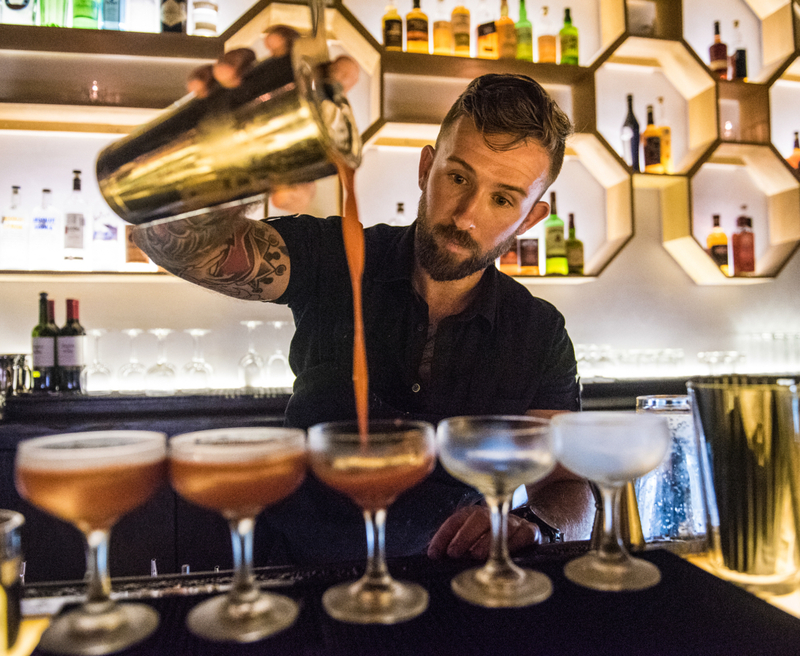 Midnight Cowboy– A little hidden speakeasy gem on 6th street. Tough to find and you have to have a reservation, but worth the trip. 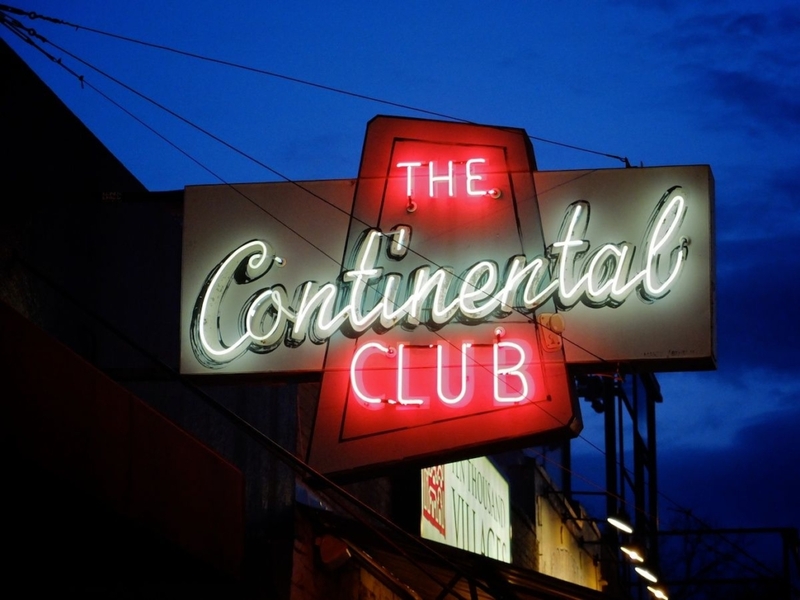 The Continental Club– An old burlesque club, turned great music spot, this venue has amazing live acts in a historic atmosphere. The Townsend: A couple things to note about this venue, the first is even though it is a bar, you can make reservations since they play live music. We were disappointed the first go around because we couldn’t get in. The second thing is to try to make your reservation a week in advance. You will not be disappointed. Austin City Limits: The best venue, of course, for live music, but they also offer lots of other types of entertainment. We saw Brian Regan’s comedy show which kept us laughing. Zach Töpfer Theater: If you happen to be coming during the holidays, you absolutely can not miss their rendition of a Christmas Carol. It is all set to modern day music and it is one of the best live performances I have seen anywhere. They also host lots of theater, dance and musical performances. Check out their schedule when you are in town. Bass Theater: Each year, Texas Performing Arts offers a diverse season of music, theater, dance, and conversation, and during the past 35 years has presented such world-class artists as the Chicago Symphony Orchestra, Mikhail Baryshnikov, Victor Borge, Nina Simone, Ornette Coleman, Merce Cunningham Dance Company, Van Morrison, Philip Glass, Ella Fitzgerald, and The English National Opera. We saw Dorrance Dance (an electric tap music ETM production) and both of us absolutely loved it. Parker Jazz Club: We are not super late night people, so on our first stop to The Elephant Room, we actually missed the act and the next one wasn’t starting until 11 pm. 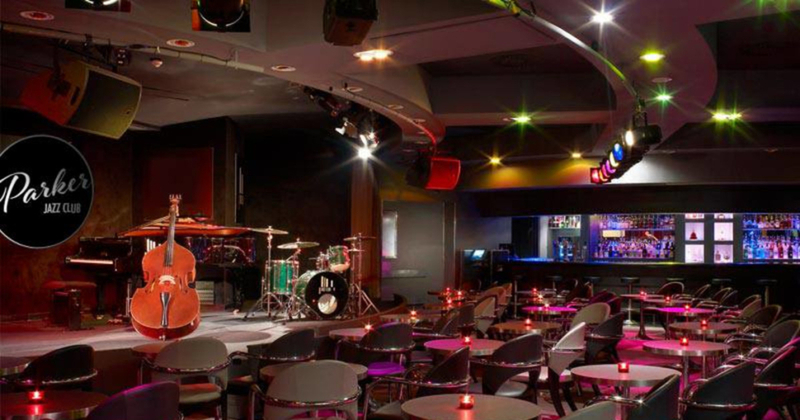 Someone in the Club recommended we try Parker Jazz Club. We made reservations for a table the next night and the show was great! 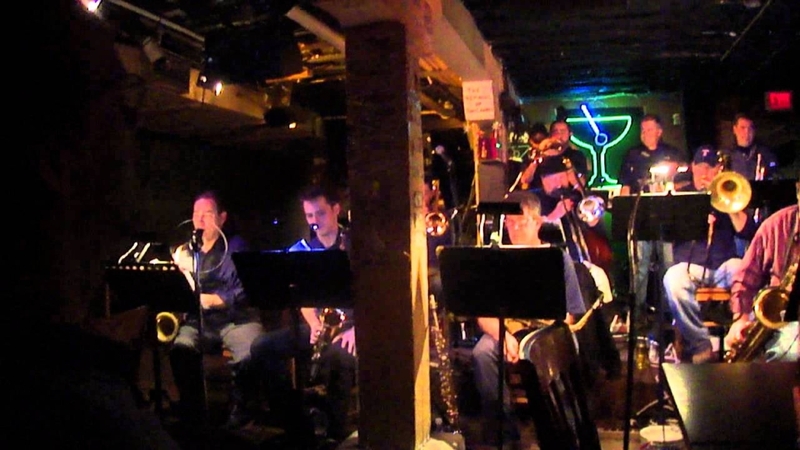 The Elephant Room: This underground Jazz club feels like a speakeasy, but hosts amazing jazz talent! Esthers Follies: Anytime we are away from home, Bob (my hubby), always asks the locals what we shouldn’t miss. 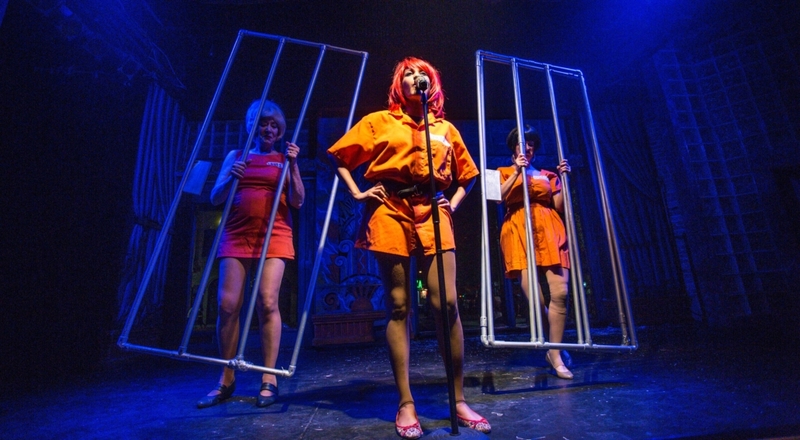 More than one person recommended Esthers Follies and this show did not disappoint. Merit Coffee: If you know me well, you know I am kind of a coffee snob. Even my hubby always asks if I have checked out the best place to have coffee when we arrive in a new city. 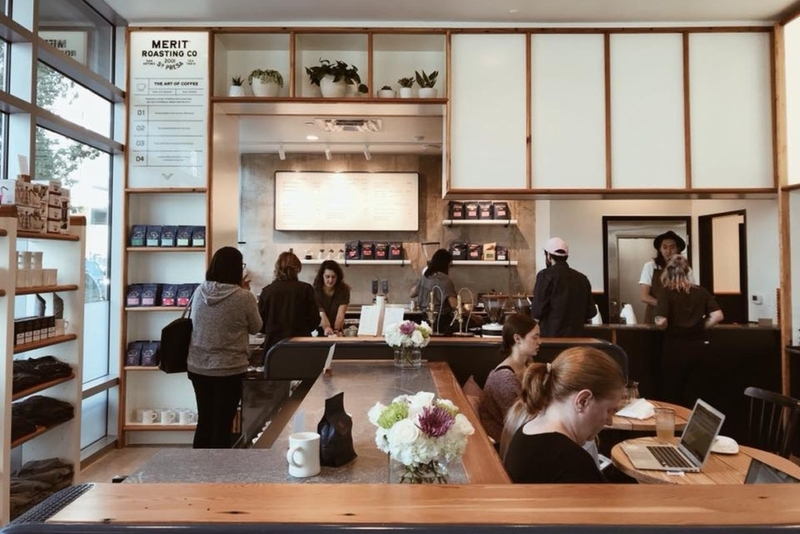 Now we are frequent visitors to Austin, and I have a few coffee spots I really like, but the newly opened Merit coffee in the Seaholm Power Plant center gets the blue ribbon from me for the very best brew! 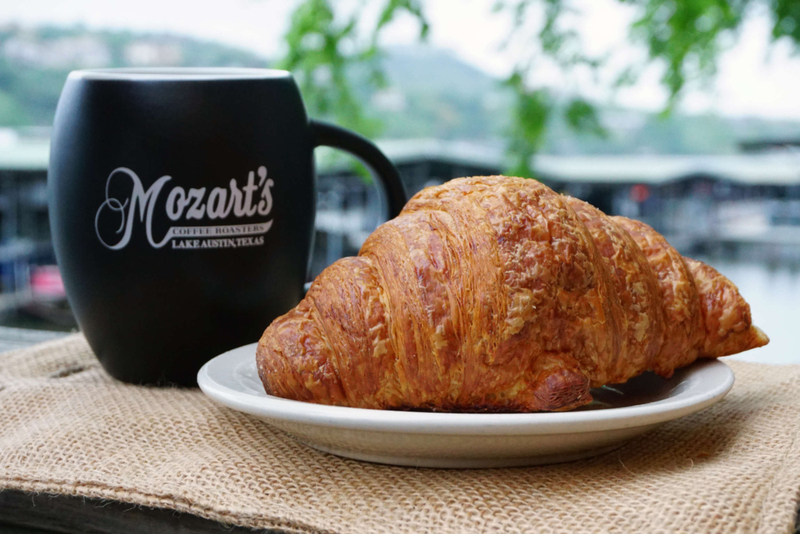 Mozarts Coffee: This is Austin’s original boutique coffee house with a great location on the lake. If you are looking for a great coffee with an excellent area to work, Mozarts coffee fits the bill. Walton’s Fancy and Staple: If you like a great cup of coffee and a delicious farm to table breakfast to go with it, then Walton’s Fancy and Staple is destination. I recommend the Avocado Toast (because I am obsessed with it) and the lavender latte (I asked them to cut the sweet by about 50%). 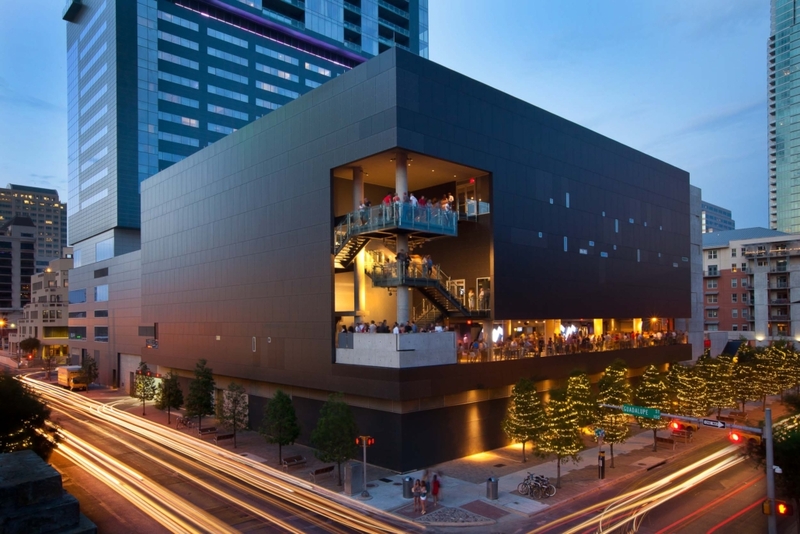 Since we planned to spend three weeks in Downtown Austin, we packed our bikes and lots of outdoor gear (if you are flying, it is really easy to rent bikes either on the street or at Mellow Johnnys bike shop). 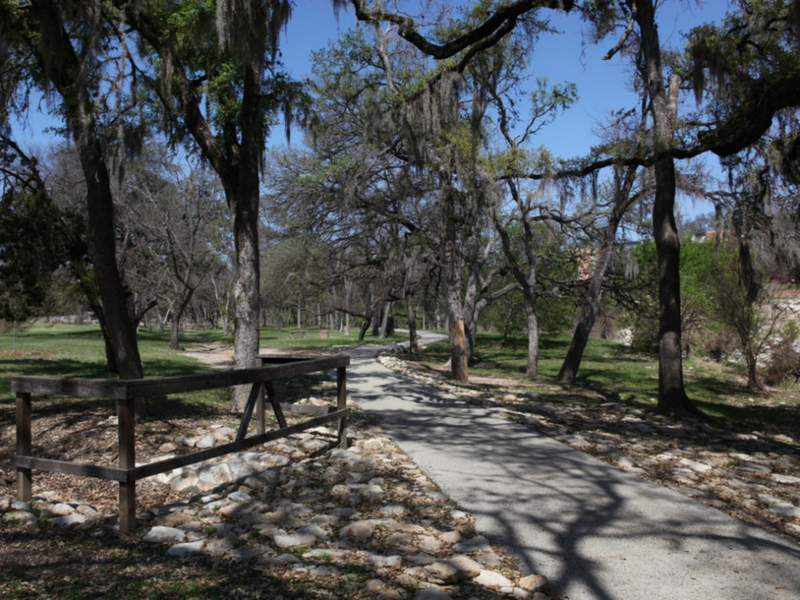 Austin is an amazing city for outdoor activities and there are bike trails and hiking trails throughout the city. Here are just a few of my very favorite spots. 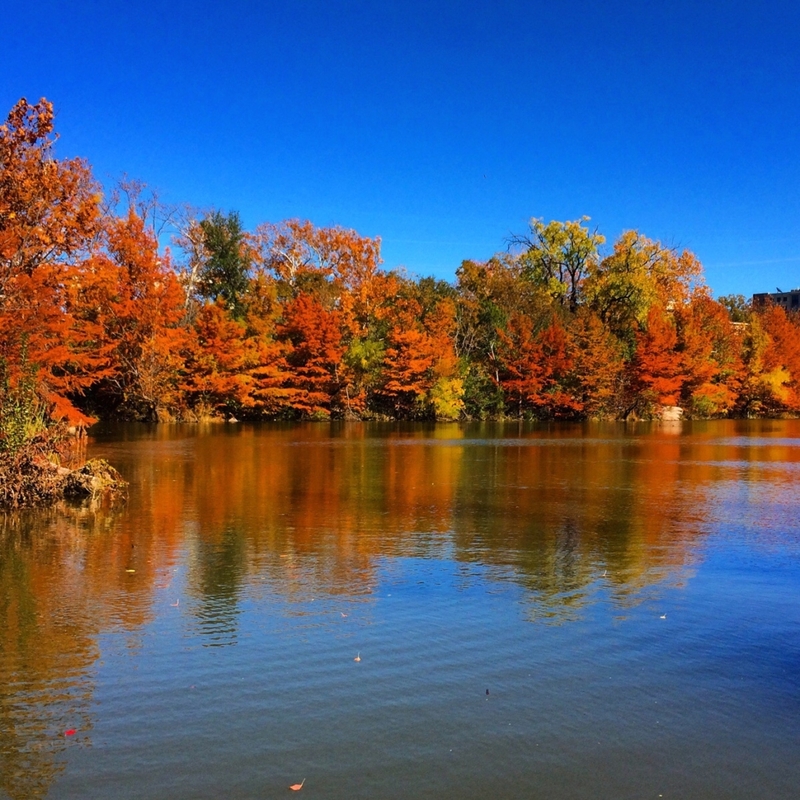 Shoal Creek Trail for bike riding: This 6.5-mile family friendly hike and bike cruise runs from 38th Street to Town Lake through Central Austin. 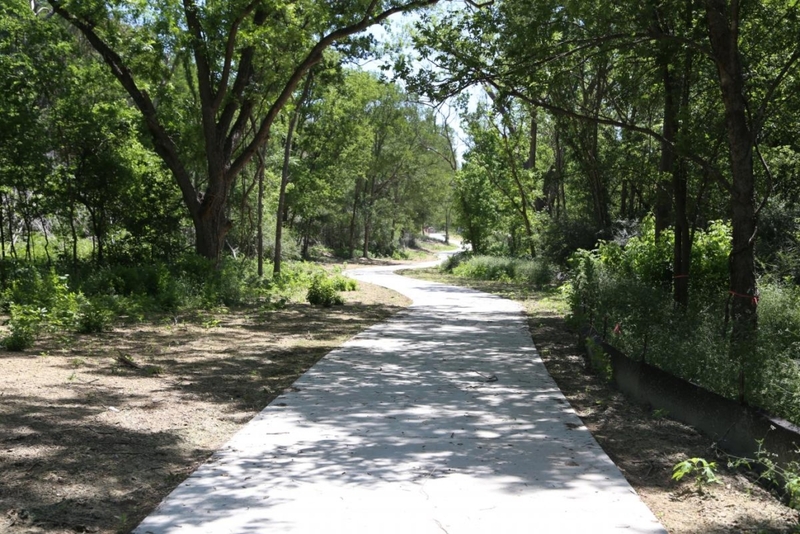 Southern Walnut Creek Trail: Encompassing more than 7.3 miles of multi-use trail running by trees, flatland, soft hills and water, Southern Walnut Creek Trail consists of 10-foot wide concrete paths designed to accommodate a variety of users. This beautiful nature-filled trail extends from Govalle Park to the Walnut Creek Sports Park at Johnny Morris Road and Daffan Lane and includes 5 bridges, culverts, signs and benches offering a breath-taking view at every turn. 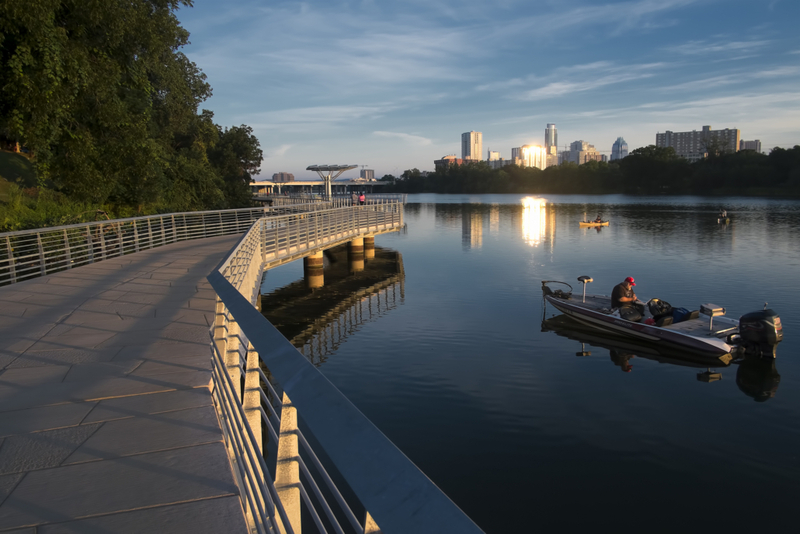 Ladybird Lake Bike and Hike Trail: In the heart of Austin is the Ann and Roy Butler Hike-and-Bike Trail at Lady Bird Lake, a lush, urban path that meanders along the water’s edge and passes by skyscrapers, neighborhoods, ball fields and cultural attractions. 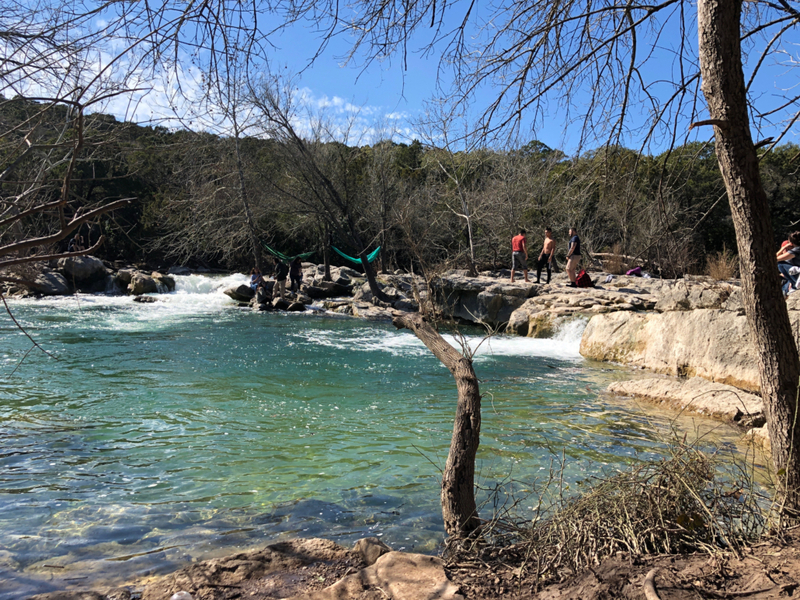 Barton Creek Greenbelt Trail: Barton Creek Greenbelt Trail is a 13.8 mile heavily trafficked out and back trail located near Austin, Texas that features a waterfall and is rated as moderate. The trail offers a number of activity options and is accessible year-round. Dogs are also able to use this trail. I do not recommend trying to bike this trail. You will walk your bike a good portion on the way if you do. Red Isle Park: This is a paradise for dog lovers as you can have them off leash and they can also swim in the river. If you are considering having a portrait shoot in Austin this is a beautiful spot for a picture or even just a quiet walk along the river. 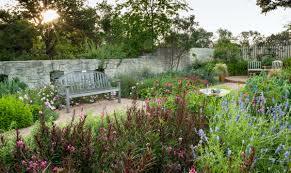 Laguna Gloria/ The Contemporary Museum: This spectacular location is designed as a museum without walls. Laguna Gloria, a unique, fourteen-acre art-in-nature site that includes the landmark Driscoll Villa, the Betty and Edward Marcus Sculpture Park, the Gatehouse Gallery, and the Art School at Laguna Gloria. 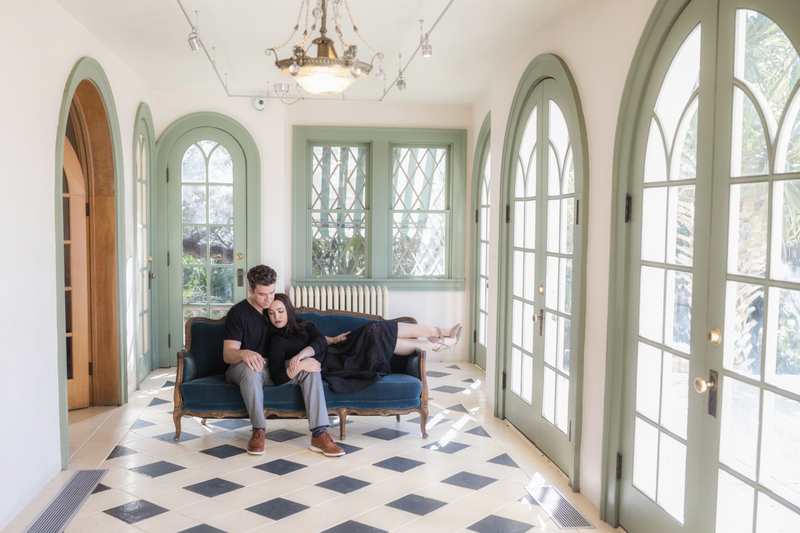 I was fortune enough to do an engagement session in this location while we were in Austin! 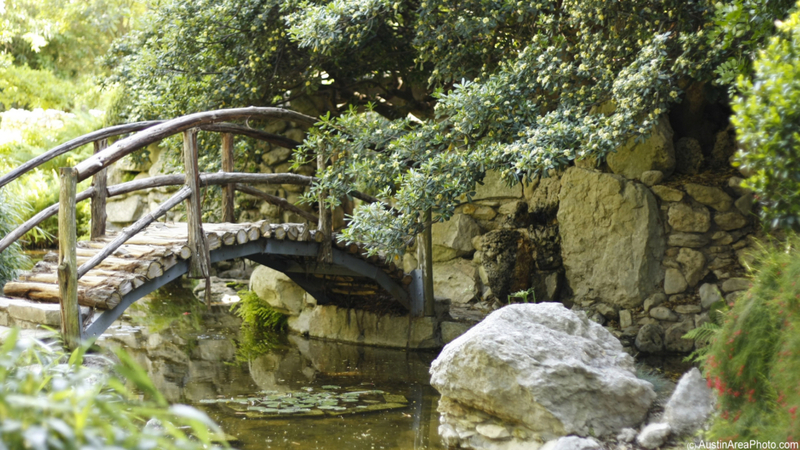 Austin Botanical Garden: — located on 26 fenced acres in Austin, Texas has often been called “the jewel in the heart of Austin”. Theme gardens such as rose, herb and Japanese garden are interconnected with streams, waterfalls and Koi-filled ponds. The Hartman Prehistoric Garden recreates local dinosaur habitat. 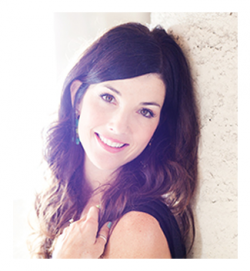 This is another beautiful location for a Austin family portrait photo shoot. Ladybird Johnson Wildflower Park: The Lady Bird Johnson Wildflower Center at The University of Texas at Austin is the state botanical garden and arboretum of Texas. 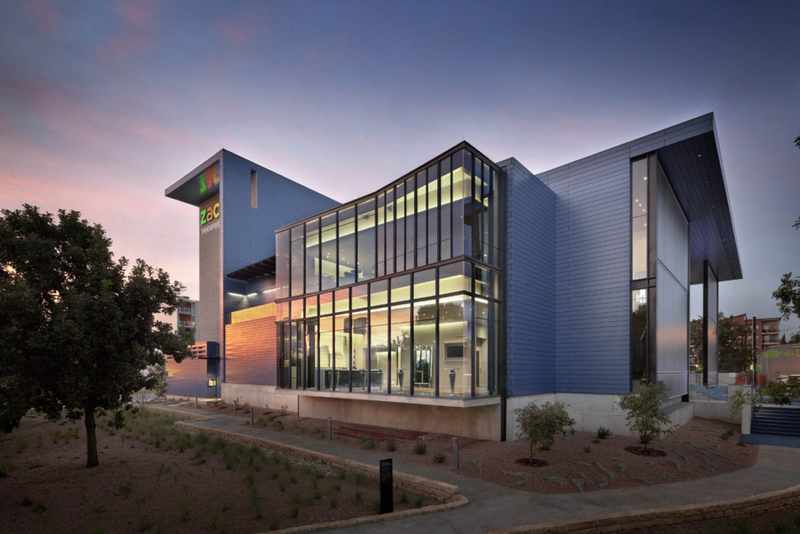 The center features more than 900 species of native Texas plants in both garden and natural settings and is home to a breadth of educational programs and events. I recommend this location for engagement sessions, high school senior portrait session or family portrait sessions. Life Family Austin Church- 310 Downtown Campus in the ACL lower level building Austin- Great message with amazing music. We seriously felt like we were at another amazing Austin music venue. The best part of the service was definitely Pastor Randy Phillips who is a wonderful teacher that really makes the messages from the bible easy to understand and apply to everyday life.